POMEROY — The skeletal remains found in a wooded area near Pomeroy in late September have been identified. In a news release on Monday, Meigs County Sheriff Keith Wood stated that through DNA testing the remains were identified as Eric P. Humphreys of Gallipolis. 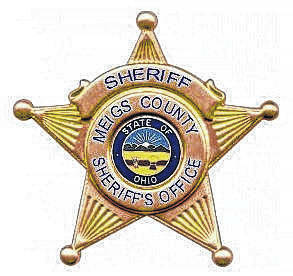 Wood reported that his office has been in contact with the Meigs Count Coroner’s Office, Montgomery County Coroner’s Office and the Ohio Bureau of Criminal Investigation in regard to the skeletal remains located in the area of Flood Road on September 29th of this year. Humphreys was originally reported missing in the fall of 2016 by family members. The remains were discovered on Sept. 29, 2018, by an individual that was reportedly hiking through the woods between Flood Road and Lincoln Heights in Pomeroy. Sheriff Wood would like to thank the Pomeroy Fire Department for their assistance at that scene as well as the Ohio Bureau of Criminal Investigation, the Meigs County Coroner’s Office, and the Montgomery County Coroner’s Office. The investigation is ongoing, but the sheriff stated that foul play is not suspected in the case.